The yellow school bus is an iconic symbol of childhood in America. Many of us waved goodbye to our parents as we headed off to school on the bus and then grew to become the parents waving goodbye our own children. They transport our most precious resource, our children, so we should be able to trust they are safe. A recent lawsuit calls attention to the issue of school bus safety and caught the attention of our San Francisco school bus accident attorney. According to SFGate, a school bus company agreed to pay $11.5 million in order to settle a lawsuit claiming the company used unsafe buses to take San Francisco students to and from school. The lawsuit claimed that from 2006 through 2011, the company provided buses to San Francisco United School District that had threadbare tires, worn brakes, a nd other maintenance-related problems. Although the California Highway Patrol inspected the buses annually, they did not identify the problems at that time. The two mechanics who led the lawsuit say that company records show the bus company misrepresented the safety of the vehicles. The case alleged that company records showed 300 cases where the company violated a requirement that buses be inspected every 45 days and also ignored complaints from drivers and mechanics about the buses including reports of “metal-on-metal” sounds during braking. The money from the lawsuit will be divided between the school district, the whistleblowers, and their attorneys. SFGate was unable to reach the bus company for comment, but the settlement should not be viewed as an admission of guilt. Notably, the company recently replaced the 230 buses that services the San Francisco United School District and a new contract requires more frequent evidence that the company is complying with safety rules. A spokeswoman for the district said they are not aware of any safety incidents related to the acts alleged in the suit. Thankfully, fatal accidents involving school buses are relatively rare. Still, even one child lost is too many. A National Transportation Safety Administration report on School-Transportation-Related Crashes issued this month says that there were 1,332 people killed in crashes involving school transportation vehicles from 2005 to 2014. This averages out to 133 deaths in school-transportation-related crashes each year. The fact sheet does not provide information about the number of people injured in accidents involving school transit vehicles. Many studies show that school buses are the safest way to transport children to and from school. Still, however, school bus accidents do occur and the victims deserve compensation. These cases require a close investigation of the facts in order to determine fault. Additionally, these cases are complicated because they might involve both private and public entities, thus requiring compliance with the detailed rules governing suits against a government entity. The Brod Law Firm has the knowledge and experience to handle these and other issues that can arise following a school bus accident. If your child was injured or tragically killed in a school bus accident in Northern California, we can help you recover compensation from those at fault. 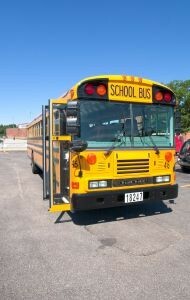 Contact our Northern California school bus accident lawyer for a free consultation.